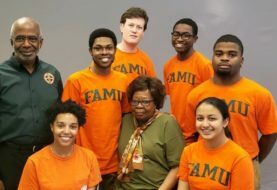 The National Security Agency (NSA) and the Department of Homeland Security have designated Florida A&M University (FAMU) as a National Center of Academic Excellence in Cyber Defense Education through 2022. The designation was awarded in March after the University met rigorous requirements and successfully demonstrated its ability to serve the country’s need to defend cyberspace by preparing a skilled workforce via its academic offerings. “Your ability to meet the increasing demands of the program criteria will serve the nation well in contributing to the protection of the National Information Infrastructure,” wrote Karen Leuschner, the national CAE program manager at NSA, in a letter acknowledging the University’s capacity to address the critical shortage of professionals with cyberdefense and other industry-related skills. 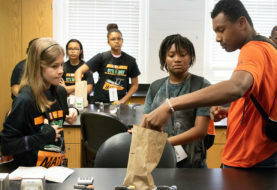 According to Leuschner, FAMU will receive its designation certificate in June at the National Cyber Security Summit in Huntsville, Alabama and joins a list of designees such as Purdue University, Johns Hopkins University, Princeton University and Dartmouth College. 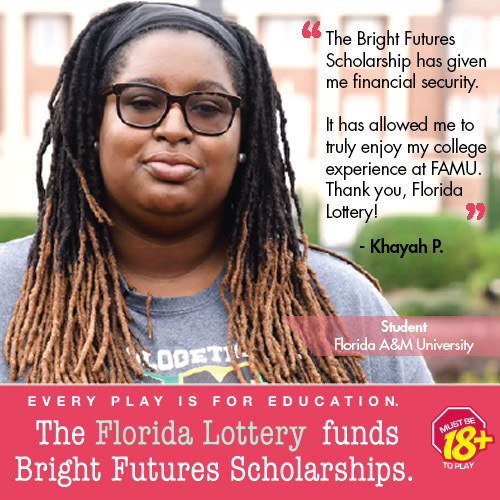 “The designation places FAMU in the company of leading universities and attests to the foundation we have built to deliver quality cybersecurity education and experiences to students within our program and across the University,” said project lead Deidre W. Evans, Ph.D., associate professor in the Department of Computer and Information Sciences, a component of the FAMU College of Science and Technology. Evans underscored the unique role HBCUs like FAMU can play in defending America’s most vital national assets. Looking to expand upon ongoing efforts, Interim Provost Wright recently announced that the College of Science and Technology is exploring the development of academic programs in cyber security. In addition to its National Center of Academic Excellence in Cyber Defense Education designation, FAMU is also home to a Center for Cyber Security, Center for International Law and Justice, and Center for Global Security and International Affairs. FAMU is also a founding member of the Florida IT Career Alliance, which was established to help recruit, retain and employ Florida’s next generation technology workforce.